Tasting Notes: This wine has a floral nose with strong honeysuckle accents. It has a slightly sweet taste on the pallet, but finishes dry. Pairings: It makes a nice pair with spicy food, but also is perfect for sipping by the pool. This is a single vineyard wine from Bingham Family Vineyards. Russ Kane has posted his top 10 Texas wine choices for 2009. You can read about his ideas about Texas 2000 wines here on his blog. Two of the wines that ranked in his top 10 picks are from High Plains wine trail wineries. A inspired blend of Gewurztraminer, Muscat Canelli, Viognier, Riesling and Chardonnay. Aromas of honeysuckle, tropical fruits and hint of musk followed by a lemon-lime, just a modest hint of sweetness, silky feel and long finish. There are also several wines mentioned that are made with grapes grown in the Texas High plains. This wine continues to impress all that taste it with its opaque, purple color and rich dark berry flavors carrying vanilla and smoke. A marriage of Texas High Plains legacy (Cabernet) and future (Tempranillo). Grapes for this wine came from Newsom Vineyard on the Texas High Plains. 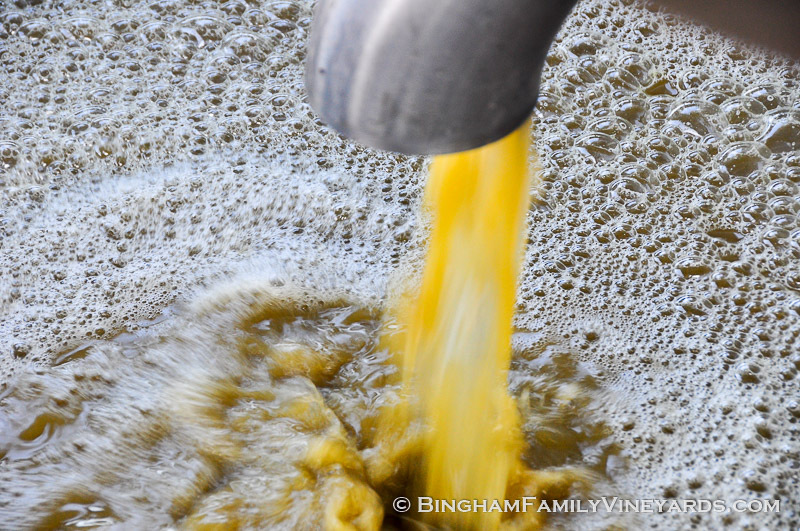 Grapes for this wine came from Bingham Family Vineyards on the Texas High Plains.